The acclaimed dystopian novelists Louise Welsh and Martin Goodman join Gregory Claeys, perhaps the world’s foremost authority on utopian and dystopian fiction, in a Q&A discussion of contemporary dystopias. Is George Orwell’s 1984 still relevant to our present digital age of constant connectivity? Are we being dominated by Big Brother, or is this a world of lots of Little Brothers, where we all watch each other? Join us for a discussion of how you think science fiction can help us to make sense of our increasingly technological age. 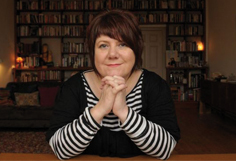 Louise Welsh is a high-acclaimed novelist and short story writer. She began her literary career writing crime fiction, and her debut novel, The Cutting Room (2002), was nominated for several literary awards including the Orange Prize for Fiction. More recently Welsh has turned her attention to the dystopian genre. Her “Plague Times” trilogy takes place in a post-apocalyptic Britain suffering in the wake of a deadly pandemic virus. Martin Goodman works across fiction and nonfiction. His first novel, On Bended Knees, was shortlisted for the Whitbread Prize (now the Costa). Today Goodman is the director of the Philip Larkin Centre at Hull University and continues to write critically acclaimed fiction. His most recent novel, Ectopia, is a modern teenage dystopia that was heralded as “a new dawn for British writing” upon its release. Gregory Claeys in Professor of Political Thought at Royal Holloway University. Author of Searching for Utopia: The History of an Idea and editor of The Cambridge Companion to Utopian Literature, he is one of the world’s foremost experts on utopian and dystopian fiction. His most recent book, Dystopia: A Natural History, is a history of dystopian fiction and thought. 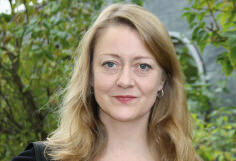 Annie Machon worked for MI5 during the 1990s as a counter-terrorism officer with a focus on the activities of the IRA. In 1996 she resigned from the Security Service and blew the whistle on a series of alleged crimes that she claimed to have witnessed during her time in the intelligence services. She then went into hiding with her partner, David Shayler, and the two fled across Europe to escape prosecution before spending two years in exile in Paris. Now she works as a journalist and prominent campaigner. In 2013 she was appointed Chair of the Courage Foundation, an organisation that fights for the protection of whistleblowers and has campaigned for such high-profile figures as Edward Snowden, Chelsea Manning and Lauri Love. She resigned from the Courage Foundation a year later and today works as the European Director of the Law Enforcement Against Prohibition (LEAP), an organisation of current and former law enforcement agents and government officials who oppose the War on Drugs. Alex Garland’s visually stunning science fiction masterpiece blurs the boundaries between human and artificial intelligence and asks what moral responsibilities we assume once we build sentient machines. 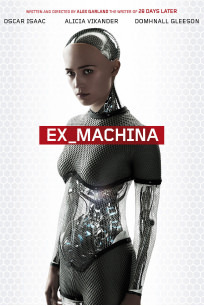 Winner of Best British Independent Film at the British Independent Film Awards and Best Visual Effects at the Oscars, Ex Machina is one of the most memorable science fiction films of the last decade. 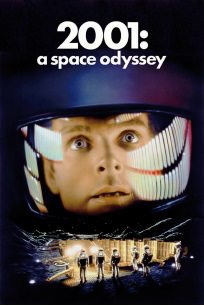 Where it all began: one of the most seminal science fiction films ever made and surely the most iconic depiction of artificial intelligence run amok to have ever graced the silver screen. You may have seen it before but you’ve probably never seen it quite like this before, in full digital projection at one of Hull’s biggest cinema auditoriums. 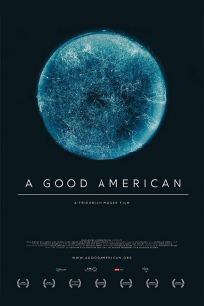 A Good American is a gripping docu-thriller about a ground-breaking surveillance programme, the brilliant mastermind behind it and how a perfect alternative to mass surveillance was killed by NSA-management for money – three weeks prior to 9/11. The life and legacy of Bill Binney, perhaps the most significant NSA whistleblower after Edward Snowden, is recounted here in this compelling and explosive documentary. Speaker(s): Former spy and whistleblower Annie Machon shares her experience in and out of the clandestine world. Hollywood’s enfant terrible, Oliver Stone, returns to the big screen with this highly anticipated biopic of NSA whistle-blower Edward Snowden. 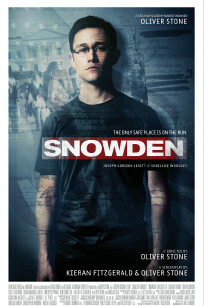 Starring Joseph Gordon-Levitt in the eponymous lead role, Snowden brings to life one of the most significant true stories of courage and political intrigue of the last decade. 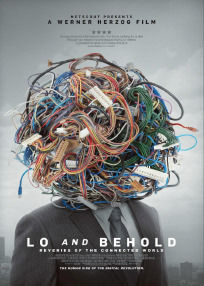 The acclaimed director Werner Herzog’s latest documentary goes in search of technology’s bleeding edge, exploring the social media, robotics, artificial intelligence and the Internet of Things. A Hull premiere. Not to be missed. The perfect film for an alternative Valentine’s Day, Her tells the story of a man who falls in love with his computer. Winner of Best Screenplay at the Golden Globes and nominated for five academy awards, including Best Picture, Spike Jonze’s Her is a strangely moving near-future fable about virtual love that holds a carnival mirror to our contemporary dependence upon technology. Are we witnessing the end of privacy? Today all our emails, text messages and social media are being monitored. Every time we use our bank cards, every time we go on Facebook and every time we run a Google search, we leave a digital trace. As the leaks of whistleblower Edward Snowden revealed those traces are increasingly accessed by governments, or mined by major corporations, to build a digital profile of us and place us under surveillance. Join former LulzSec and Anonymous hacktivist Jake Davis, AKA Topiary, along with the intelligence and security expert Richard Aldrich and contemporary political philosopher James Connelly. Jake Davis (aka Topiary) is a former hacker who worked for LulzSec, Anonymous and similar hacktivist groups. In July 2011 he was arrested, his computer was confiscated, and he was charged with hacking-related offences. His arrest sparked a wave of digital activism after Anonymous launched their “Free Topiary” campaign. Today he works as an activist, technologist and public speaker. Richard Aldrich is Professor of Intelligence and Security at the University of Warwick and author of several books on intelligence, security and surveillance, including GCHQ: The Uncensored Story of Britain’s Most Secret Intelligence Service. Professor James Connelly is Professor of contemporary political philosophy at the University of Hull. He has published widely on ethics, environmental politics and electoral systems, but he is currently working on the ethics of privacy and cyber security as the Principal Investigator on the Ethics and Rights of Cyber Security Project. Are you curious about artificial intelligence? Are you worried that machines might rule over us in the not-so-distant future? Join us for a discussion of the current state of artificial intelligence, and its implications for society. Panelists: Mike Brayshaw is Lecturer in Computer Science at the University of Hull and expert in Artificial Intelligence. Mary Ellen Large lectures in cognitive neuroscience at the University of Hull and is an expert in object recognition and visual pathways in the brain. Michael Gratzke is Professor of Modern Languages at the University of Hull and an expert in the changing nature of love in the 21st Century. Stephen Burwood lectures in Philosophy at the University of Hull and an expert in the concept of “transhumanism”. Download our mobile App for a binaural performance piece! The tour commences at 5pm on Tuesday 14th February – meet in the foyer of Middleton Hall at 4:45pm and we will take you over.